Ben Carr is a Vermont musician who has settled on the unusual combination of ukulele and drums. He makes his living as a music teacher, recording engineer and ace four-string sideman. Those uke skills are front and center on his latest record, A River's View of Sunrise. It's a meditative, relaxing ride that shows off some serious musicianship. Carr's previous project, Unyielding, was a reggae-flavored, full-band affair. Fake Jamaican accents aside, it at least proved that Carr could arrange for all manner of instruments and lead a band. Yet the intimate acoustic work of this newest project may be an even bigger challenge. On A River's View, Carr has opted to fly solo and spotlight his uke chops and songwriting growth. For the most part, it really works. Carr navigates around the polyphonic limits of his instrument with the aid of loop pedals, stacking careful, spare layers to build space and color. His fingerpicking flavors on opening track "Leap Frog" are downright African, his bright glissandos reminiscent of Djelimady Tounkara or Ali Farka Touré. The track is almost five minutes and still feels like it's over too soon. The second cut, "A Song for Teeny," is a sharp turn into rollicking, gypsy-tinged jazz, and Carr handles this with aplomb. Together, the songs issue a solid one-two punch that establishes both Carr's technical prowess and the sonic range of the album itself. A River's View stays rooted in quiet moments, even at its most whimsical. For the record, that would be "Sugar Shack," an upbeat ode to maple syrup culture that incorporates both kazoo harmonies and some half-rapped, singsong vocals. The cut feels out of place here, but it could be a hit at craft fairs for decades to come. Overall, the album's sound quality is perfect — almost to the point of being antiseptic. Granted, the humble ukulele is not the most tonally rich instrument to begin with. But A River's View sometimes feels too spare for its own good. That said, some of the least ornamented songs shine the brightest. "Nate & Leah's Song," for instance, floats and wanders but is enchanting the whole time. It's a stark contrast with the next track, "Going With the Flow," which incorporates some tepid beatboxing but feels flat by comparison, despite the more ambitious structure. As a business card, A River's View of Sunrise is hard to beat. The range of styles and techniques on display here are a clear statement: If you want to learn the ukelele, Ben Carr is the man you want to call. As an album of acoustic music, though, perhaps this is more of an early experiment. Carr might benefit from working with another producer, though that doesn't seem to be his style. He is continuing to grow into his own organic sound on his own terms. That's a long, crooked path, but always worth it. 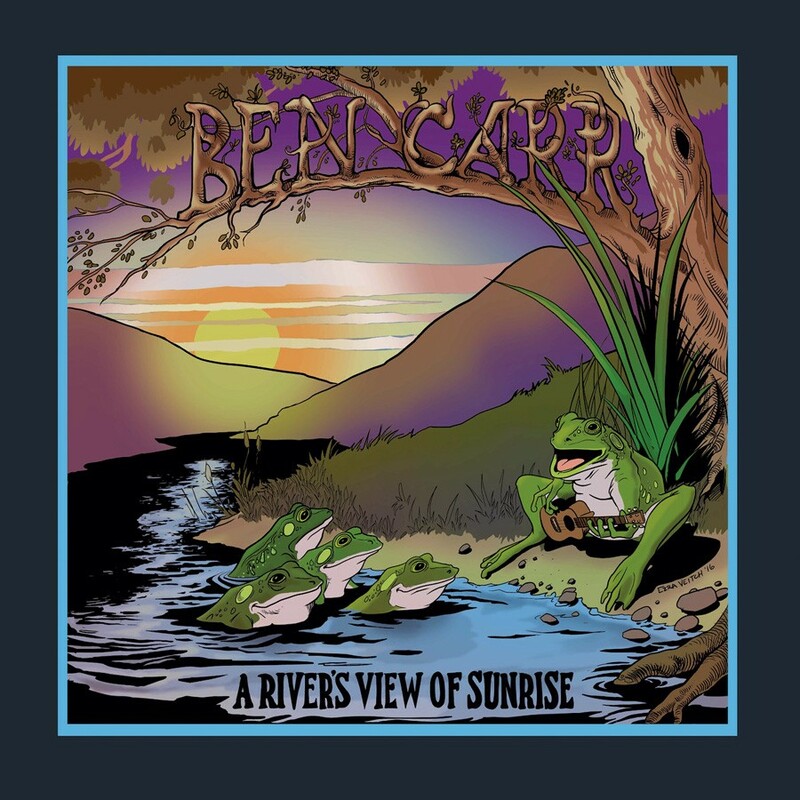 A River's View of Sunrise by Ben Carr is available at bencarrmusic.bandcamp.com.